One of the more popular phrases our politicians like to say is that “Michigan is the comeback state.” A quick google search shows that ‘Michigan’s comeback state’ has nearly 700,000 results and numerous articles on the topic from CNBC to the Michigan Chamber of Commerce. Michigan’s unemployment rate is 5.4%, which is significantly lower than our all-time high unemployment rate of 15% in 2009. This is a big change and something that should be celebrated but we should not be overly optimistic about the news because the unemployment rate is not as low as the pundits like to claim. The unemployment rate is decreasing because the labor force participation rate is plummeting. For those of you who do not know, the labor force participation rate includes citizens who are simply put, in the labor force. This doesn’t take into effect retirees, people under 18, disabilities, etc. but instead it shows how many able-bodied workers have jobs. In 2016 only around 63% of adult workers were a part of the labor force. Check out this video from Prager U to better understand the labor force participation rate. Hopefully, you now see how the government is tricking people into believing the economy is on the rise. When you or your neighbors give up looking for a job, they are no longer considered unemployed and this helps to decrease the unemployment rate. This is not to say that Michigan is not doing better. As a state, we are doing better than 2009 and there are companies moving here thanks to bold initiatives such as Right to Work and the repeal of the Michigan Business Tax, but this is not enough to claim that our economy is strong and efficient. 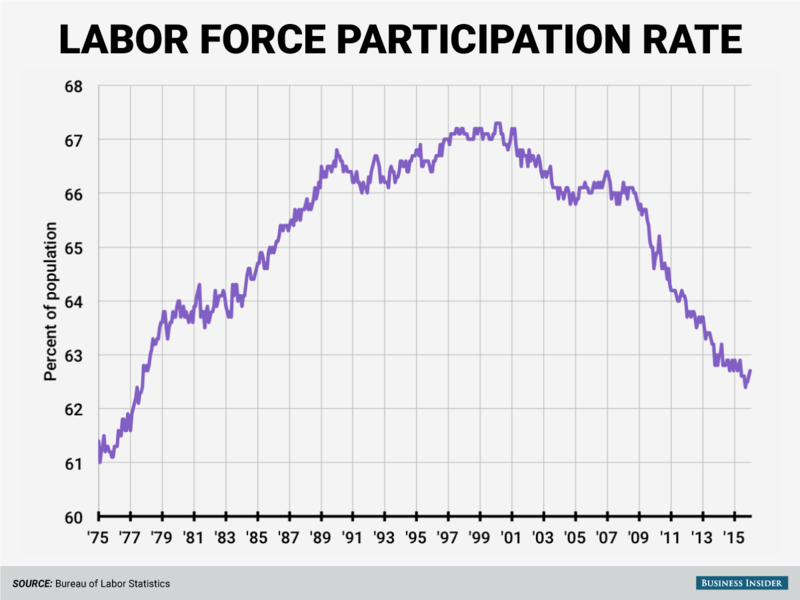 Any time the government cites their ‘great’ unemployment statistics, remember the labor force participation rate. Show this to all your neighbors and friends who haven’t heard of this government trick and let’s work together to bring jobs and businesses back to Michigan.